To download the paper, click here. To return to the "Published Papers" main page, click here. 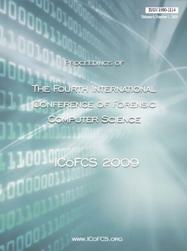 This paper presents some of the challenges traditional Computer Forensic methodology is facing with the growing adoption of Cloud Computing services and models by organizations. It will explain how the results of recent researches in computer physical memory analysis, new methodologies and tolls, can help address these arising challenges. It demonstrates the use of these techniques by analyzing how a worm that employs Cloud characteristics works. The recent, and still in the wild, Conficker worm. Cloud Computing, Computer Forensics, RAM Analysis.